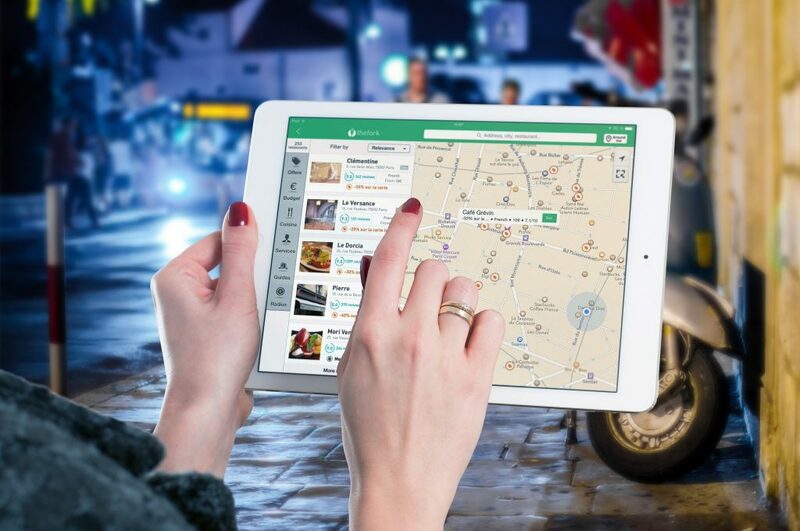 Listings on Google Maps can be an invaluable tool for your business. Google My Business Listings are widely trusted for recommendations, so holding a coveted top three spot is a huge win. But, unfortunately for all of us, there isn’t a magic formula you can plug in to get top results. It’s a competitive world online, but don’t go throwing money at the people claiming they can guarantee top results. If it sounds too good to be true, it is. Let’s start simple. Google My Business Listings are the top local results that match your search query. If you’re searching for a ‘Marketing Agency Geelong’, Google will provide you with top recommendations for places near you. Initially, the top three relevant businesses and their locations will appear, then the rest fall under the ‘more places’ option. Holding one of these top three slots puts your business at a huge advantage. How does Google determine Rankings? In the past, rankings were based solely on proximity and industry categories. Now, Google is including more factors into its calculations. This is good news for smaller businesses whose listings were getting overshadowed by large corporations and chain companies. According to Google: There’s no way to request or pay for a better local ranking on Google. We do our best to keep the details of the search algorithm confidential to make the ranking system as fair as possible for everyone. Prominence: is based on information Google finds about you across the web. The more online references you have, the better your search ranking will be. Given these factors, here are our top tips to rank on Google My Business Listings. Growth will be gradual, but if you know what you’re doing and you’re doing it well, the results will start coming in. The more Google knows about your business the more accurate, and therefore relevant your listings will be. When filling out the ‘My Business’ section on Google Listings, provide as much relevant information as possible. Make sure it’s correct, accurate and there are no double ups. Inconsistencies will mess with Google’s algorithm and can seriously damage your listing. Look at this as an opportunity not a chore. Fill out your description using strong, local SEO to get the most out of this option. But watch out for unnecessary info, there is a character limit, so keep it relevant. Skipping this step means that beside your business listing will be a generic photo from Google Maps, which is fine, but not great. Adding photos to your listing gives you the opportunity to showcase your business, highlight your products and provide a reference photo for the outside of your store. Consider what photos will be most relevant and enticing to your potential customers. User reviews are a great way to add trustworthiness to a business. Reviews have their obvious benefits, they provide an honest reflection of your business, which is great when they’re positive. They’re also enticing to Google. Wondering the best way to get reviews? Ask for them. Get your loyal customers to post a review to kick start the process. Having a few positive reviews is definitely a step in the right direction. Yes, opening yourself up to reviews means there’s the possibility for negative ones, but they’re typically few and far between. Manage and respond to them, and show you value customer feedback. It’s always a good look. When adding your Google My Business Listing you get the option of adding one primary category or keyword to describe your business. Use this to accurately identify your industry. Then, what many people don’t know is you can also add up to five additional categories. This can be a great way to add some local SEO keywords to provide additional information about your business. Our final piece of advice is to embed your Google Maps Listing onto your website. It’s a great tool to have on your contact page, and it serves as a second step of verification for Google. Make sure your address is consistent between your website and your listing, or else you risk confusing the system. Providing the information and putting in the work is the best way to rank on Google My Business Listings. Make sure you’re backing it up with good website SEO and strong content, it’s all linked. If you want to kickstart your Google Listing, come talk to us at Circle Media.